Under the terms of the Versailles Treaty Germany was forbidden to own military aircraft. The design and manufacture of civil aircraft was permitted and important figures such as Hugo Junkers, Ernst Heinkel and Willy Messerschmitt continued to work in the industry. After Adolf Hitler came to power he made it clear that he was unwilling to keep to the terms of the peace treaties and in 1935 Hermann Goering announced the establishment of the Luftwaffe in March, 1935. Over the next few years Goering, the commander-in-chief of the Luftwaffe, ordered the production of a large number of fighter planes such as the Messerschmitt Bf109, the Messerschmitt 110, Junkers Stuka, Heinkel He111 and the Dornier D017 bomber. By 1938 Germany was producing 1,100 aeroplanes a year. During the invasion of Poland the Luftwaffe used 1,750 bombers and 1,200 fighters. Confidence in the Luftwaffe was undermined during the Battle of Britain. The Heinkel He111 and the Dornier D017 were not sufficiently armed to resist attacks by British fighter planes. The Junkers Stuka, which had been used successfully in the invasion of Poland and France, turned out to be too slow when faced with the Spitfire and Hurricane. 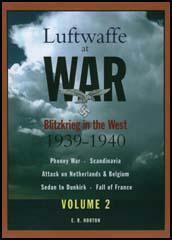 The Luftwaffe had considerable success during Operation Barbarossa in 1941. Like in earlier attacks on Poland, Denmark and Holland, it did well against poorly defended targets. German pilots easily dealt with the Soviet airforce and aces such as Erich Hartmann was credited with 352 victories. On the death of Oberst Moelders on 22nd November 1941, Adolf Galland succeeded him as General of the Fighter Arm. The following year Galland became Germany's youngest general. He also commanded the German fighters that opposed the Allied landings in Sicily in July 1943. In 1943 Adolf Galland began to argue that the Luftwaffe needed to change to a more defensive strategy. Adolf Hitler and Hermann Goering disagreed and after a series of arguments Galland was sacked as General of the Fighter Arm in December 1944. Galland returned to front-line duty and and after shooting down two more Allied aircraft on 26th April 1945 he brought his score to 103. Germany continued to increase production of aircraft during the Second World War. There were 10,800 built in 1940; 11,800 in 1941, 15,600 in 1942, 25,500 in 1943 and 39,800 in 1944. In 1944 Germany began producing jet aeroplanes. 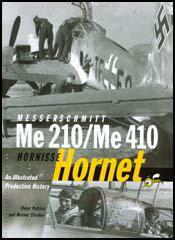 This included the Messerschmitt Me 262, the Arado Ar 234 and the Heinkel He 162. Although outstanding aircraft they appeared too late to have any impact on the outcome of the war. At least fourteen German bombers have been destroyed during night raids this week - six on Monday and eight on Tuesday, when Coventry was heavily attacked. Eleven of these raiders were destroyed by our night-fighter squadrons. The enemy's bombers were attacked on Tuesday night not only over this country but also over their bases as they were running from the raids. A.A. gunners have destroyed 500 enemy aircraft in the defence of Britain since the war began. The 500th was destroyed on Tuesday on Tuesday night by the Solent guns. A coastguard confirmed that it fell in flames near the Isle of Wight. The figure of 500 represents the number of enemy machines the destruction of which has been definitely confirmed. Fifty-five of the gunners' victims have been shot down this year and over 80 per cent of them have been night raiders. Another German bomber brought down by AA fire on Tuesday night was found wrecked in a Home Counties forest yesterday afternoon. Two members of the crew were dead and two others were lying injured on the grass. (4) General Werner Kreipe, a member of the Luftwaffe wrote about the Battle of Britain after the war. (5) Heinz Knoke was a fighter pilot defending Germany's northern coast. miles south-east of Heligoland. That was my number five. This evening's Mosquito raid was particularly disastrous for me because our Ministry was hit. The whole lovely building on the Wilhelmstrasse was totally destroyed by a bomb. The throne-room, the Blue Gallery and my newly rebuilt theatre hall are nothing but a heap of ruins. I drove straight to the Ministry to see the devastation for myself. One's heart aches to see so unique a product of the architect's art, such as this building was, totally flattened in a second. What trouble we have taken to reconstruct the theatre hall, the throne-room and the Blue Gallery in the old style! With what care have we chosen every fresco on the walls and every piece of furniture! And now it has all been given over to destruction. In addition fire has now broken out in the ruins, bringing with it an even greater risk since 500 bazooka missiles are stored underneath the burning wreckage. I do my utmost to get the fire brigade to the scene as quickly and in as great strength as possible, so as at least to prevent the bazooka missiles exploding. As I do all this I am overcome with sadness. It is 12 years to the day - 13 March - since I entered this Ministry as Minister. It is the worst conceivable omen for the next twelve years. The Führer telephones me immediately after the raid on the Ministry. He too is very sad that it has now hit me. So far we have been lucky even during the heaviest raids on Berlin. Now, however, we have lost not only a possession but an anxiety. In future I need no longer tremble for the Ministry. All those present at the fire voiced only scorn and hatred for Goring. All were asking repeatedly why the Führer does not at last do something definite about him and the Luftwaffe. The Führer than asks me over for a short visit. During the interview I have with him he is very impressed by my account of things. I give him a description of the devastation which is being wrought and tell him particularly of the increasing fury of the Mosquito raids which take place every evening. I cannot prevent myself voicing sharp criticism of Goring and the Luftwaffe. But it is always the same story when one talks to the Fuhrer on this subject. He explains the reasons for the decay of the Luftwaffe, but he cannot make up his mind to draw the consequences therefrom. He tells me that after the recent interviews he had with him Goring was a broken man. But what is the good of that! I can have no sympathy with him. If he did lose his nerve somewhat after his recent clash with the Führer, that is but a small punishment for the frightful misery he has brought and is still bringing on the German people. I beg the Führer yet again to take action at last, since things cannot go on like this. We ought not, after all, to send our people to their doom because we do not possess the strength of decision to root out the cause of our misfortune. The Führer tells me that new fighters and bombers are now under construction, of which he has certain hopes. But we have heard it so often before that we can no longer bring ourselves to place much hope in such statements. In any case it is now plenty late - not to say too late - to anticipate any decisive effect from such measures.